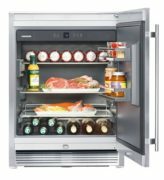 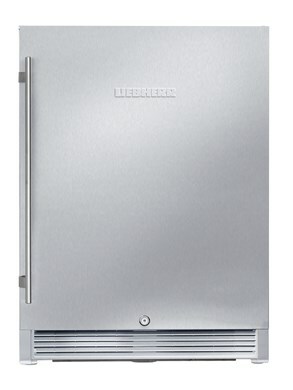 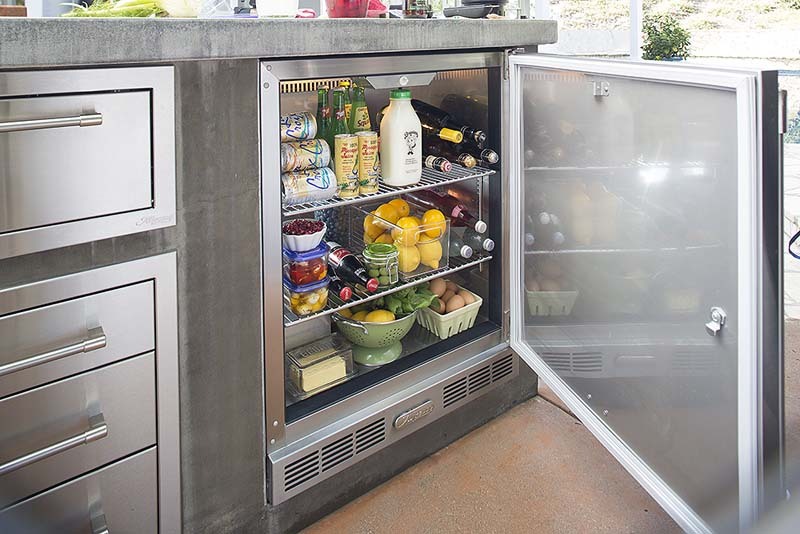 If you are looking to turn your outdoor kitchen on the deck or patio into the ultimate place for entertaining, Liebherr’s compact 24 ̈ outdoor undercounter beverage/wine cooler RO 510 is the ultimate barbecue and entertainment accessory, offering the best place for beverages such as wine, beer and soft drinks as well as barbeque supplies and condiments located accessibly, allowing you to have all your ingredients close at hand without compromising on elegance and design – perfect for keeping meats and vegetables conveniently near the grill or chilling your drinks while you enjoy the outdoors and entertaining. 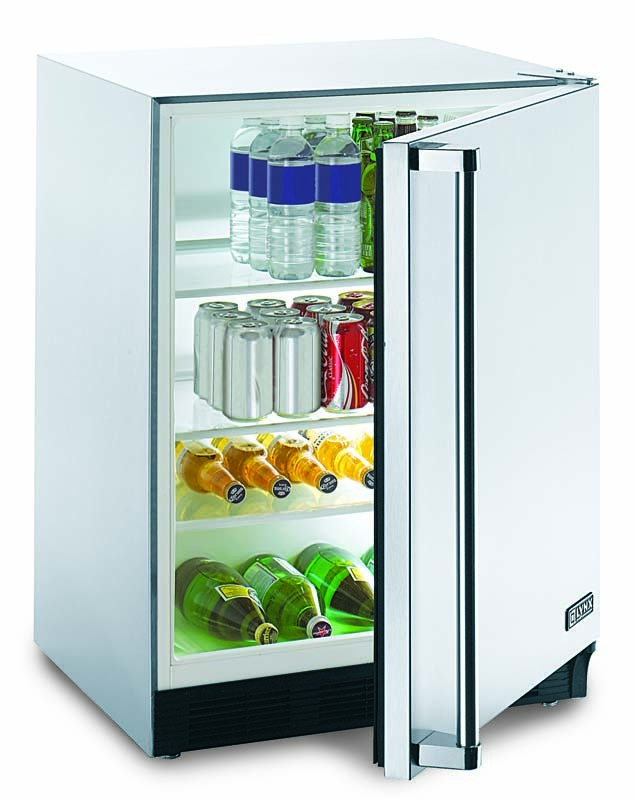 The appliance temperature can be set from +36°F (+2°C) to +68°F (+20°C) and has three glass storage shelves with stainless steel trim for plenty of plate and container storage including a versatile split shelf for ease in storing taller items along with two door racks (one adjustable) with elegant retainers. 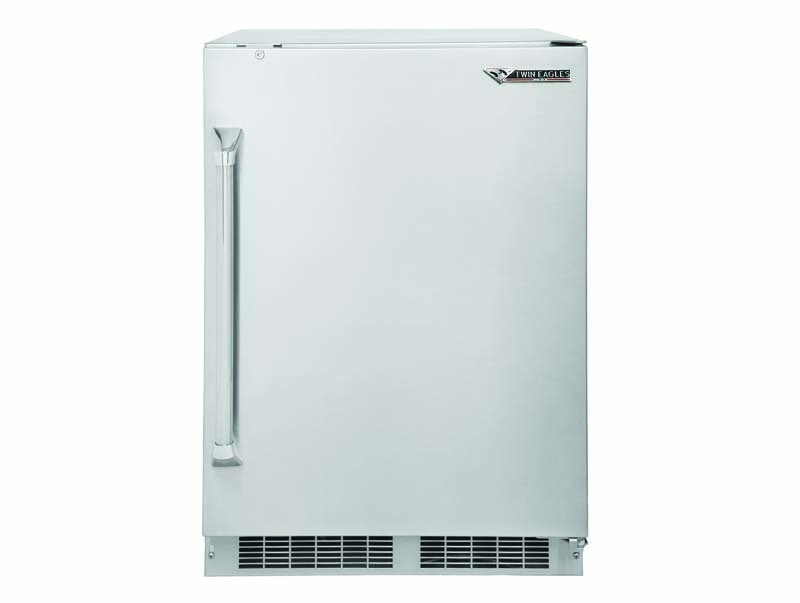 It operates perfectly within ambient temperatures from +50°F (+10°C) to +109°F (+43°C).